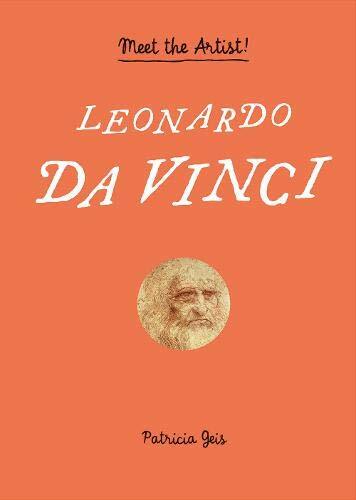 a book review by Celia Godkin: Leonardo da Vinci: Meet the Artist! Leonardo da Vinci: Meet the Artist is a delightful way to introduce children to this quintessential Renaissance Man. The book is made up of double page spreads with pop-ups, booklets, flaps, cut-outs, and pull tabs to intrigue your child. It begins with First Steps, which describes how “Leonardo realized that the best way to understand how things worked was to observe them carefully. So, in order to observe them, he began to draw them.” There's a pop-up of the city of Florence and a booklet titled What is the Renaissance? that provides a brief history of the period in which Leonardo lived. Next, The Artists Workshop describes the Renaissance artist's apprentice system with foldout panels describing the preparation of painting pigments and a variety of painting techniques. A booklet provides notes on two of Leonardo's contemporaries, Michelangelo and Raphael, with images of their paintings. Unfortunately, these large and complex works are too small to be seen in any detail. From here, we move on to The Notebooks in which Leonardo “. . . wrote brilliant studies on mathematics, architecture, botany, music and philosophy, and drew extremely detailed blueprints for machines of all kinds. For the first time, [in history] Leonardo used drawing not as a work of art but to describe how things worked . . .” There's a pull tab that moves a bird across the page—a not very convincing example of a bird in flight —and a booklet with a page of Leonardo's exquisite anatomical drawings and another of his study of optics. The booklet's back page has a mirror enabling us to read Leonardo's distinctive backwards writing on the opposite page. On the spread titled Great Commissions, we're given a pop-up representation of the monastery dining hall that bears the fresco of The Last Supper and a booklet with images of six of Leonardo's paintings, accompanied by brief descriptions. Unfortunately all are too small for detailed viewing. The next spread, titled Portraits, has a pocket containing the Mona Lisa, Lady with Ermine, and Ginebra de Benci. These exquisite portraits are not overly reduced in size, with the result that we can better appreciate Leonardo's mastery of painting. The Horse shows a pop-up of Leonardo's horse sculpture commissioned by the Duke of Milan. Leonardo spent ten years working on this project but it was cancelled at the last moment and, like many of his endeavors, never completed. The horse image we are presented with is a crude representation of Leonardo's design, which doesn't do justice to the magnificent drawings he created for this statue. By Sea and by Air discusses some of Leonardo's inventions, in particular his vehicles and devices for exploring air and water. It's illustrated with a pop-up that displays above and below water views of a variety of inventions presented as cut-outs. Robots continues the exploration of Leonardo's inventions with a focus on his design for an armed knight with moving parts, a mechanical lion, the “first automobile,” and moving stage sets. The final page discusses Leonardo's design for a city and has a pocket containing paper templates for designing your own city. The book is large format, with a design that leaves lots of white space, giving it an uncrowded feel. Though visually pleasing, an unfortunate result of this spacious design is that many of the more complex works of art, especially those shown within the small booklets, are too tiny to be properly appreciated. Any effort to present a complete picture of the man considered by many to be “The Universal Genius” must be a daunting task. The Renaissance was possibly the last period in history when it was still possible for one exceptional individual to grasp the full range of human knowledge. Leonardo seems to have done just that. His broad range of interests included painting, sculpture, architecture, music, mathematics, engineering, geology, astronomy, anatomy, botany, literature, history, and cartography. As an artist, Leonardo is considered to be one of the greatest painters of all time. Among many firsts, he was the first truly scientific illustrator, using accurate, analytical drawing as a methodology for interpreting and understanding natural phenomena. As an inventor, he was centuries ahead of his time. His various flying machines, for example, have flown successfully when constructed using modern lightweight materials that were not available in his time. Leonardo da Vinci: Meet the Artist is a valiant and, on the whole, successful introduction to this fascinating man. It would make an ideal gift for an imaginative, inventive, curious child. Especially one who loves to draw. Celia Godkin is an author and illustrator of children's nonfiction picture books. Her most recent title is The Wolves Return.